How do I upload a graphic, photo or logo? First, click the ‘Graphics’ option in the left-hand pane. Then click the “Uploads” tab. 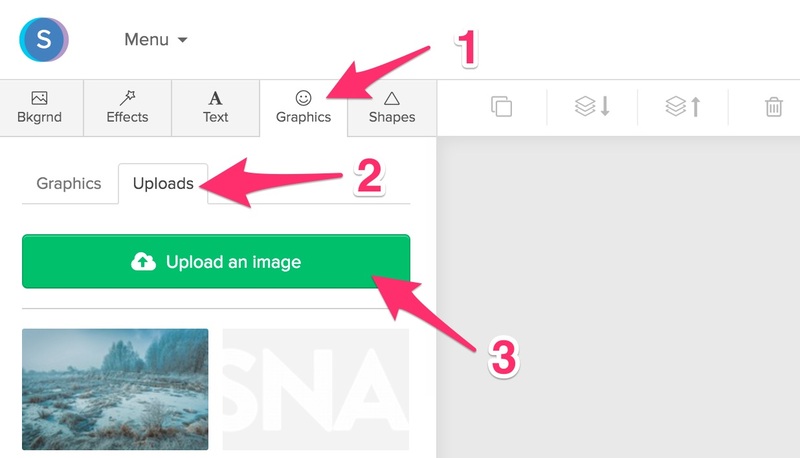 From here, you can upload your own graphic by clicking ‘Upload an image’ or you can select a previously uploaded graphic from your library. How do I upload a background image? How do I crop an image? How do I delete images in my uploads?